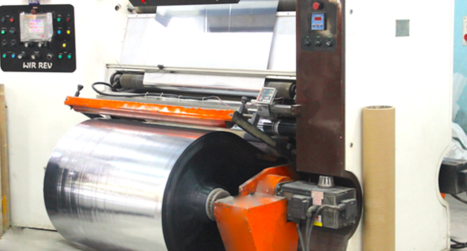 Prominent & Leading Manufacturer from New Delhi, we offer Slitting & Rewinding Machines, Lamination and Coating Machines, Extrusion Coating & Lamination Line, Laminated Films, Packaging Pouches and Converting Division. We use a number of lamination and coating technologies that allow us to create packaging materials with diverse consumer qualities, based on appropriate combinations of raw materials. Theses machines produce 20-200Âµm thick plastic films by blown extrusion. Proper allowance must be made for the low moisture and high fat content of snacks and spices and their vulnerability to foreign odours in order to select the most suitable packaging material. KTL is a leading producer of high-tech flexible packaging materials. The quality of our products is appreciated globally. Our success is underpinned by state-of-the-art technologies developed and introduced by a highly qualified and experienced team of professionals. Our continuousendeavour for the latest technologies, the enhancement of technical processes and the application of new advanced materials allow our company to provide customers with flexible packaging that is both competitive and advanced. Our plantâ€™s complete process flow ensures the continued quality of our products: starting with design development through to slitting and packing, together with continuous monitoring of processes at every stage.